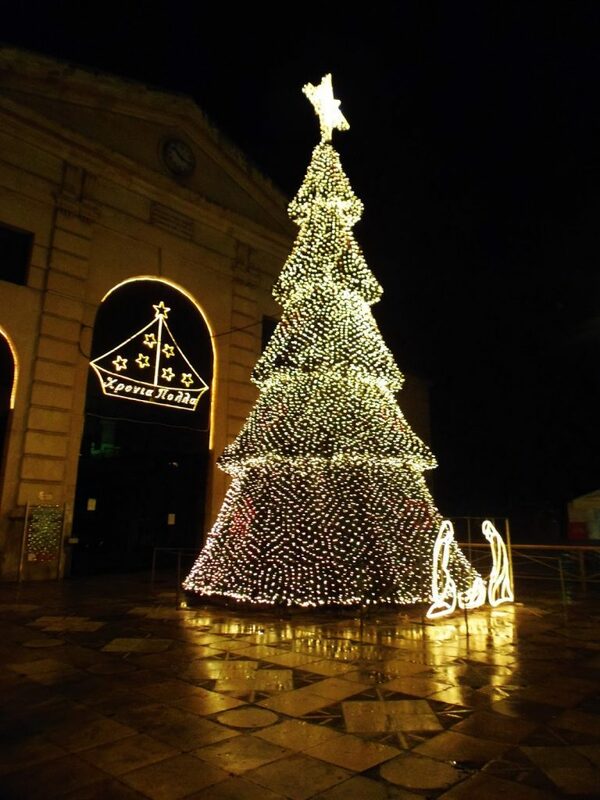 From the wonderful Christmas tree that dominates the square of the old Chania municipal market to the young children who fill the streets singing Christmas carols in exchange for candy, the month of December in Chania is magical for young and old! Winter months offer the chance to explore the uncrowded vision of Crete. In some years there is significant snowfall in the mountains (the highest peaks always receive some winter snowfall). With the Lefka Ori thus powdery white, locals gather indoors with friends and family to enjoy local delicacies around the fire place and aged wine. You will overdose on “Melomacarona” and “Kourambiedes”, Greek Christmas biscuits and sweets made from pure honey walnuts and aromatic vanilla. For a day trip, a trip to Rethymnon is a must during winter where you can spend a whole morning in the old town, the Fortezza castle and the harbor. Not to mention the old Venetian harbor of Chania where you can take part in some Christmas shopping! 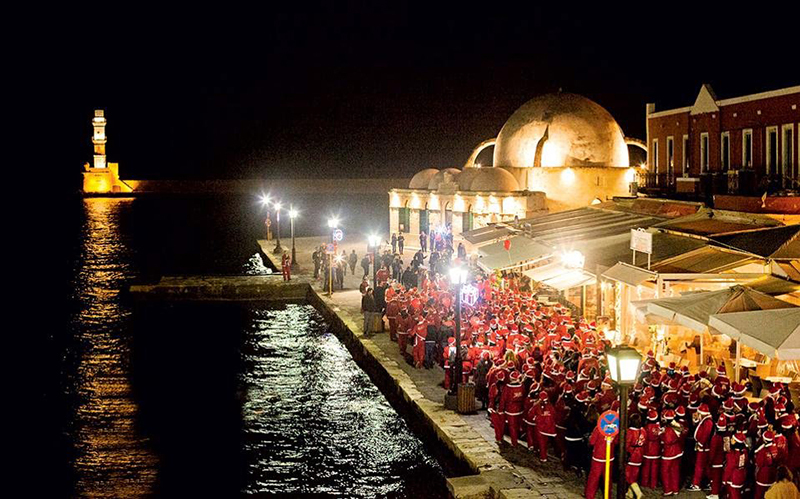 Every year Chania also hosts the annual Santa Run where thousands dress up as Father Christmas covering the streets of the Venetian harbor in a blanket of red for charitable causes. 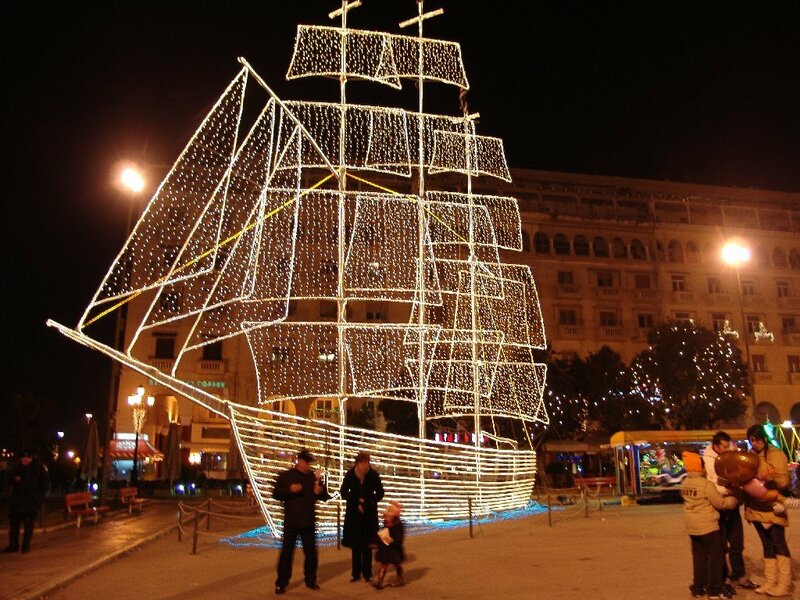 Christmas in Chania, of the mildest in seasons throughout the whole of Europe is truly magical and not to be missed!